We are a community of passionate, aviation professionals. We are pleased to offer CFI’s salaried positions starting at $45,000/year. Our students success: Our instructors put their students first by providing honest guidance that maximizes the efficiency and effectiveness of their training experience. At every stage, our instructors are evaluating what is best for the their students. The question is never how “I can benefit” from a lesson, it is always how does this help my student. We know that most instructors are building time so that that they may progress in their careers. We want you to succeed and we want to be a part in that success. Our past instructors are now flying for a variety of airlines, and charter companies and we could not be prouder of their accomplishments. 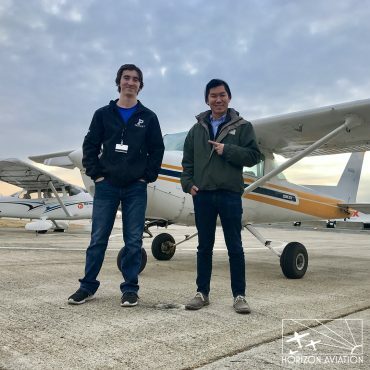 With his CFI training complete, Sydney had his pick of schools with which to begin his career. After a nationwide search, Sydney chose Horizon Aviation. The culture of growth and community made the choice an obvious one for Sydney. 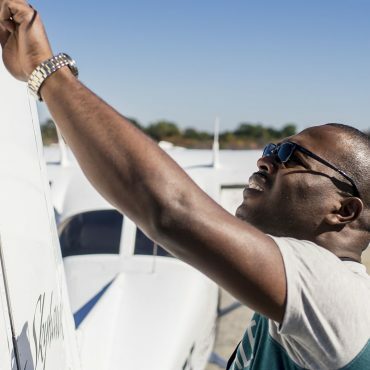 Our maintenance department is empowered to do everything necessary to keep our airplanes and engines operating safely. We do not cut corners. Our maintenance department provides the opportunity for aspiring mechanics to learn under the tutelage of a senior experienced, licensed A&P technician. Our ramp can be a busy place with flights coming and going. You can help us by keeping the airplanes clean, fueled, and ready for the next flight. Interested in a career with Horizon Aviation? Contact us today to learn more about our team.